Valley Hill Country Club boasts one of the largest and most successful junior golf programs in the area. The junior golf program is open to both members and their guest. At Valley Hill, your children will have the opportunity to learn from the best in the business, our PGA Golf Professional, Jay McLelland and Assistant Greg Komara. The golf staff will keep it fun while teaching the fundamentals young golfers need to enjoy a lifetime of golf. Valley Hill's juniors are well equipped to compete at the high school level and have an impressive track record in State Tournament competition. In additional to individual instruction from Valley Hill's Golf Professionals, we offer summer Junior Golf Camp programs and PGA Junior League teams. Throughout the summer, the Valley Hill Junior Golf Camp Program is available for children ages 5 and up. Children are grouped with others of the same age and/or ability level, allowing them to make new friends and develop confidence in their game. The juniors work at different stations each day concentrating on: putting, chipping, pitching and the full swing. Currently, VHCC has 2 Junior PGA teams and is intended to introduce players to competition. 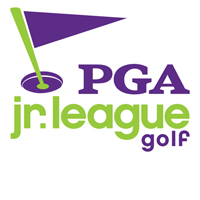 PGA Junior League Golf is the "Little League" approach to golf, where every youngster gets the chance to play. Designed to better socialize the game of golf for juniors 13 and under, PGA Junior League Golf features a team versus team format in a structured league that provides for a more popular, less stressful competition. The emphasis is on the fun, recreation and sportsmanship of the game for players at any skill level. Parents assist by walking with the younger children and helping to teach them the etiquette that is so much a part of the game. Give your children the advantage they deserve by enrolling them in Valley Hill's Junior Golf Program! Call the Pro Shop at (256) 883-7620 or click to request more information today!